NEW YORK, April 09 2018 – Sonia Olla (Flamenco Dancer / Choreographer / Flamenco Instructor) and Ismael Fernández (Flamenco Cantaor – Singer / Cante Flamenco Instructor) present “Al Son Son Flamenco,” a 90-minute spectacle of authentic Andalusian music and dance performed in a class presentation by the students some of who are already professional dancers in New York City. 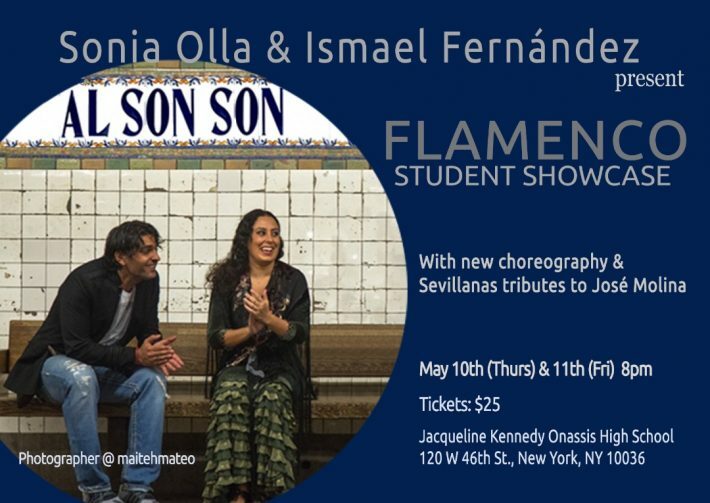 AL SON SON FLAMENCO will be presented at Jacqueline Kennedy Onassis High School Auditorium on May 10th and May 11th, 2018. The two night concert will highlight the traditions of La Familia Fernández, one of Flamenco’s most distinguished families. Sonia Olla and Ismael Fernández, have created choreography and vocal work with world renowned entertainers: Madonna in her “Rebel Heart Tour,” and Flamenco Choreography for Lola Lola in Ricky Martin’s “All In!” Las Vegas Show. Olla has toured as a Flamenco Dancer and a soloist with the Flamenco greats who are all knows to us here in US soil – Antonio Canales, Eva Yerbabuena, Rafael Carrasco, Merche Esmeralda, Maria Pages, La Farruca among others. Hailed by the Washington Post as “most charismatic performer” and “connection to the Gypsy source”, Fernández has been a featured company singer for Maria Pages and appeared at The Joyce Theater (NY), Dadler Well Theater (London), Esplanade Theatre (Singapore), Orchard Hall and Bunka Mura (Japan), Teatro La Zarzuela (Madrid), Teatro Real (Madrid) and The Gran Teatre del Liceu (Barcelona). 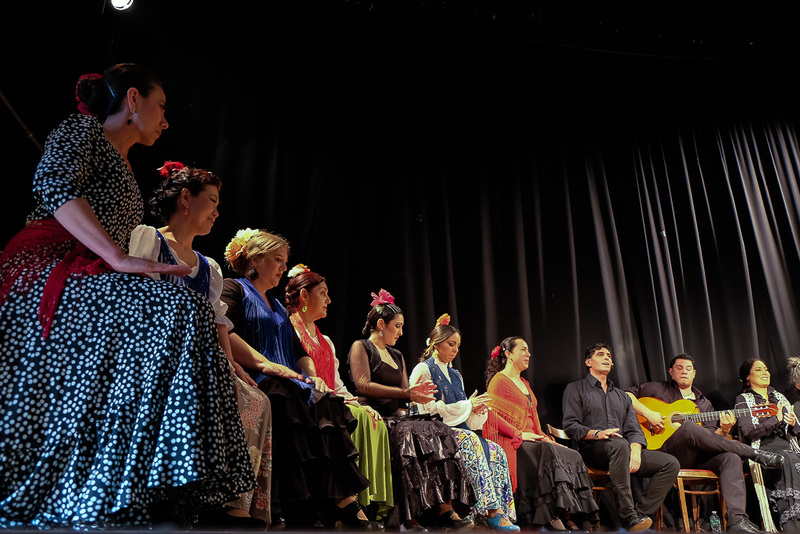 Appearing with Olla and Fernández will be their core group of 25 dancers from diverse backgrounds of ethnicity, culture, age and physicality, demonstrating how Flamenco is an inclusive and enduring art form for all people. 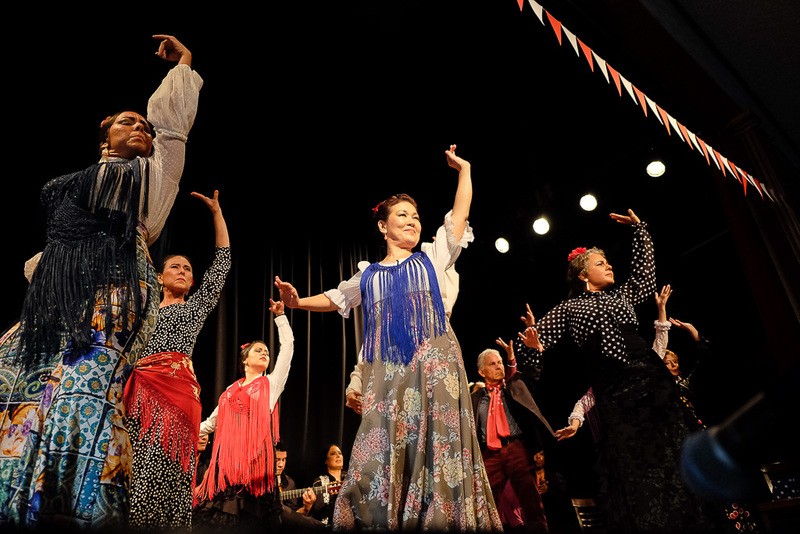 This year’s AL SON SON company will dedicate a “Sevillanas” dance for the late Jose Molina, a legendary Flamenco dancer, instructor who dedicated his life here in New York City in developing Flamenco arts and dancers. The title of the concert AL SON SON is difficult to translate into English, but it roughly means “Take us to the rhythms (grooves / swings) of the heart of Flamenco” “Al” is a combination word of A (to) and El (the) in Spanish and son is an abbreviation for soniquete or sonsonete, signifying rhythms and sounds. AL SON SON FLAMENCO was first performed at TriBeCa Performing Arts Center in 2015 followed by La Mama Moves Dance Festival at La MaMa in 2016. 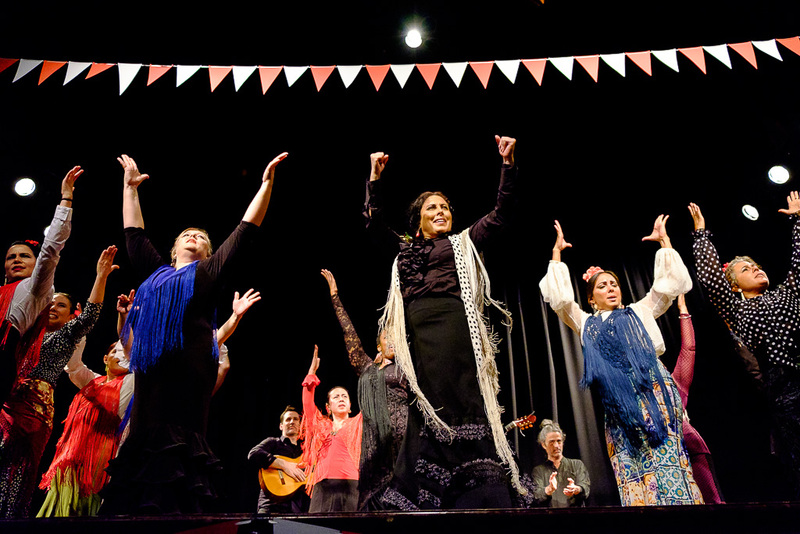 AL SON SON FLAMENCO was also featured as “Tablao” at Centro Español de Queens (NY) in 2016 and 2017. REVIEWERS ARE INVITED. For press courtesies please contact: Shigeko Suga at sugashigeko@yahoo.com, 917-647-1365. Tickets: $25 all tickets (general admission).